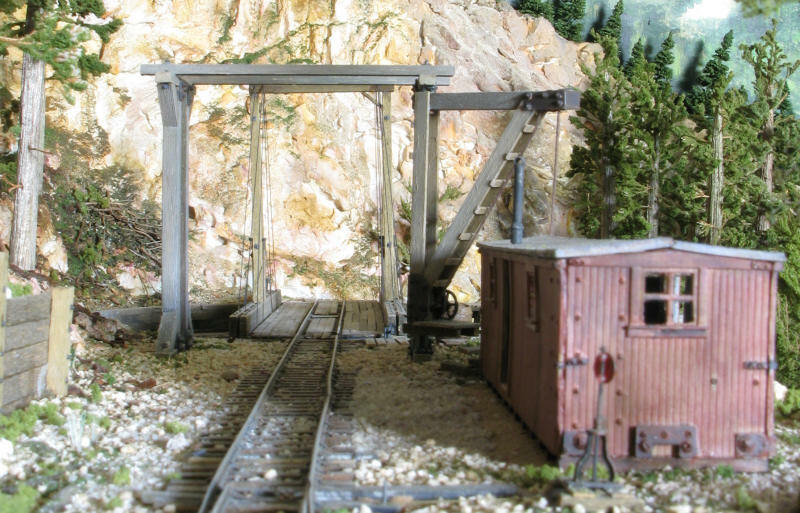 Shots of the current highline. 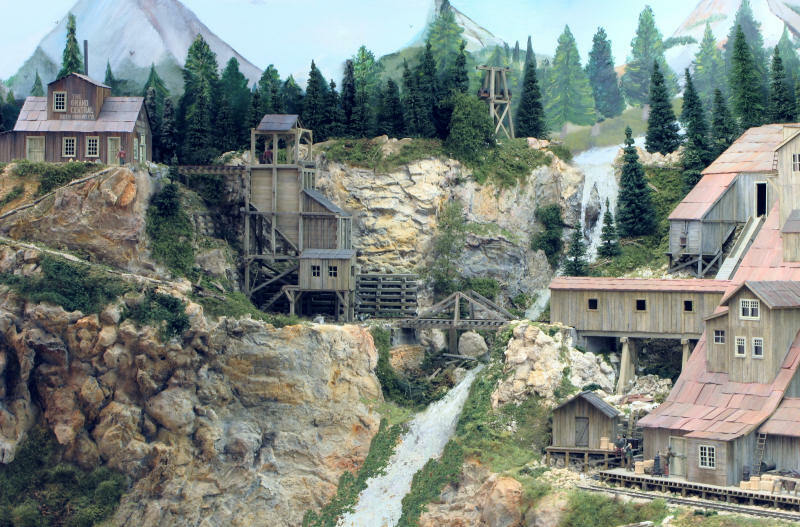 On the left, at the present "beginning" of the line, is the Alexandria Gold Mining Complex, a big operation as shown in the pictures. 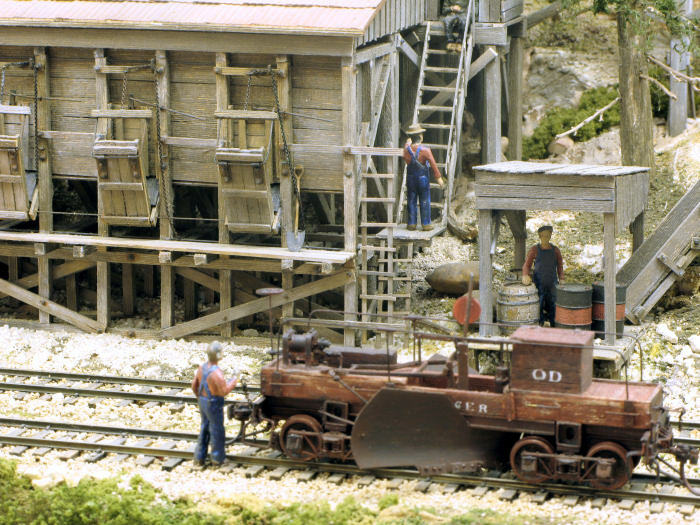 It is served by a short spur. 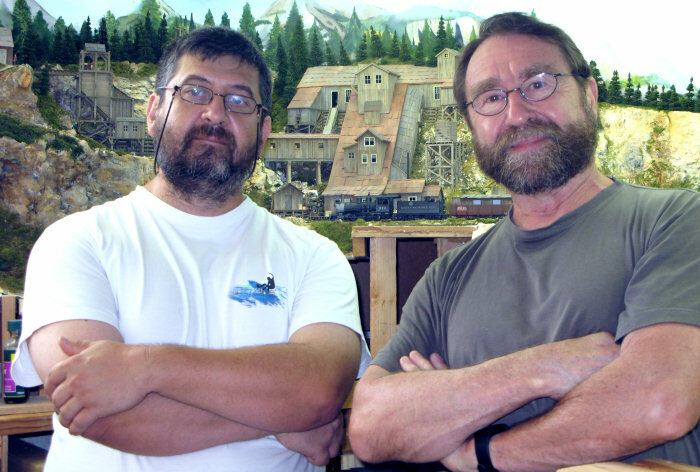 I had the pleasure to receive my friend Alexander Zelkin and his wife at my home this weekend. 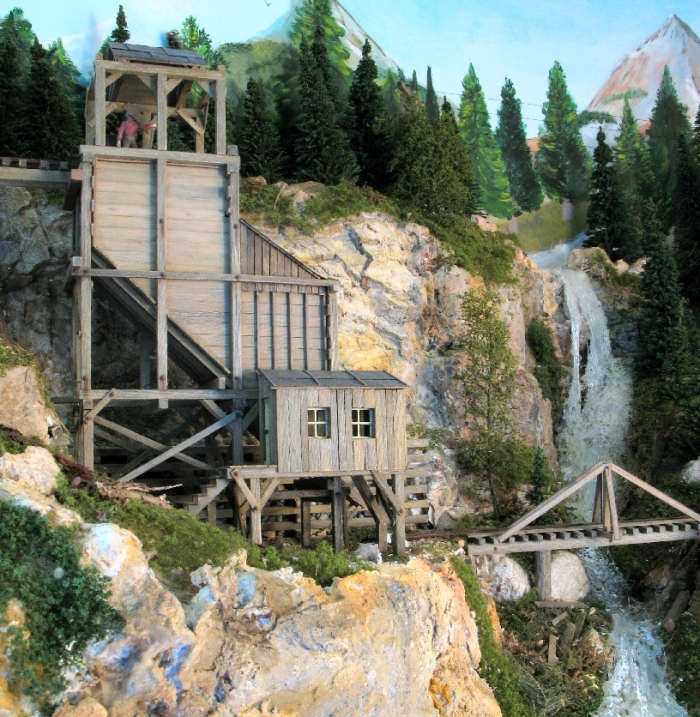 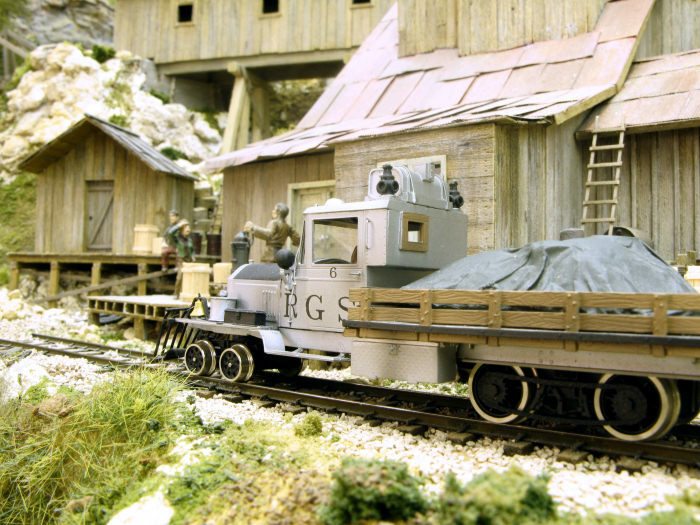 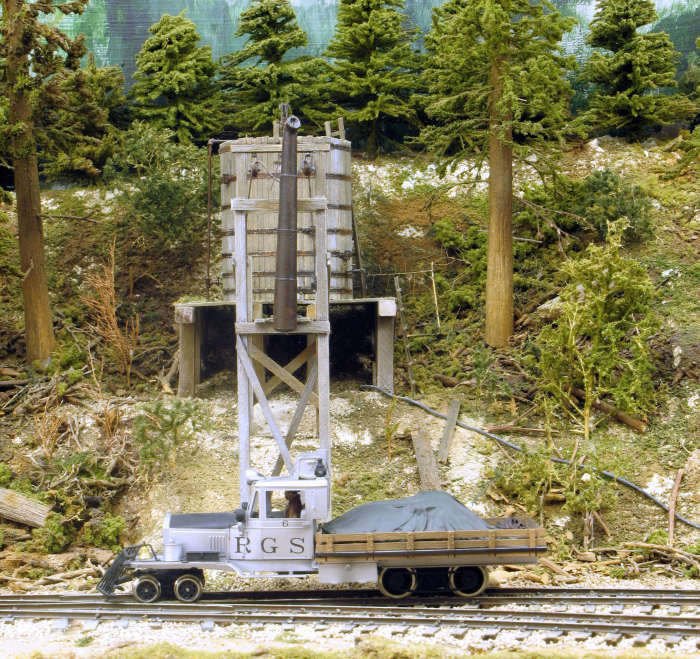 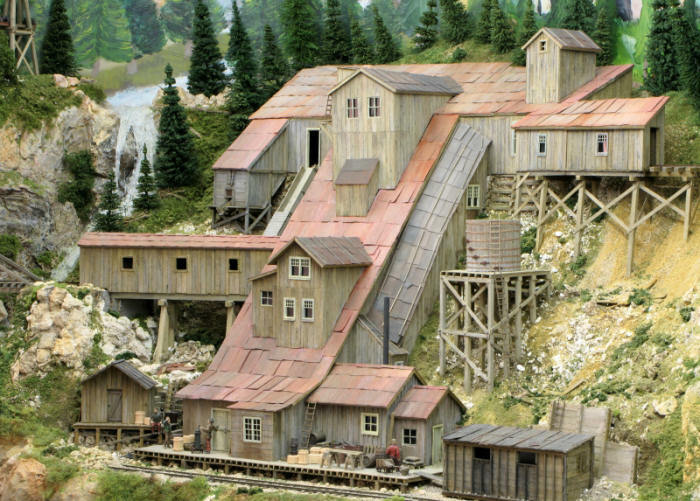 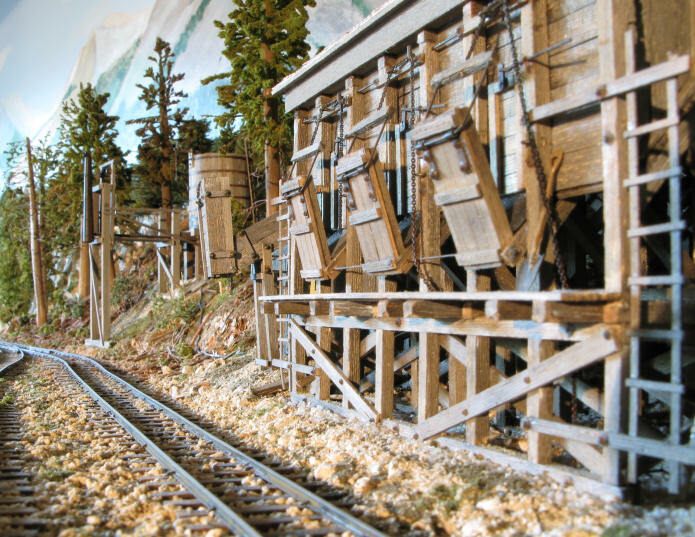 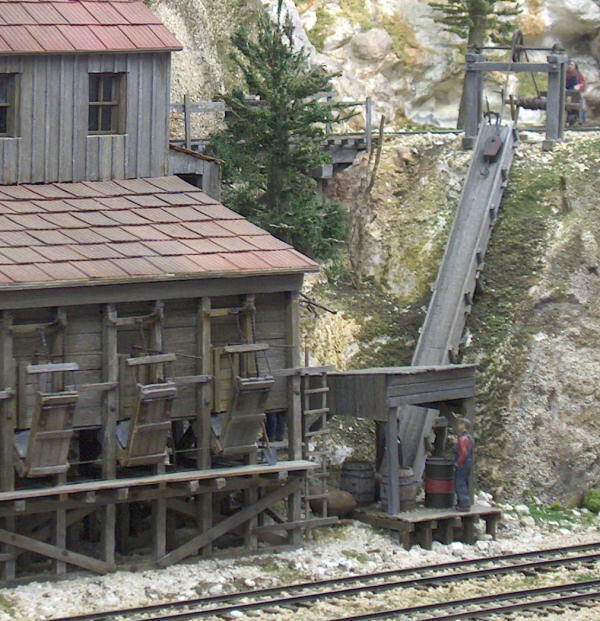 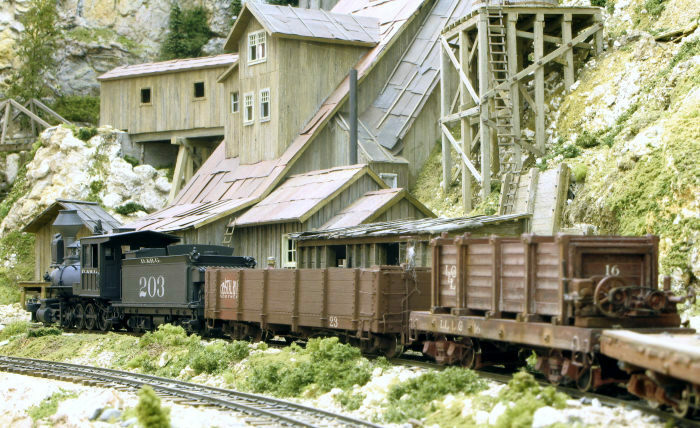 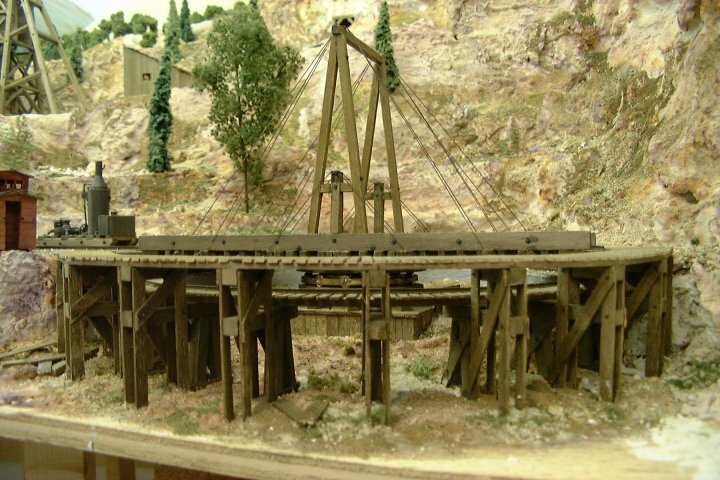 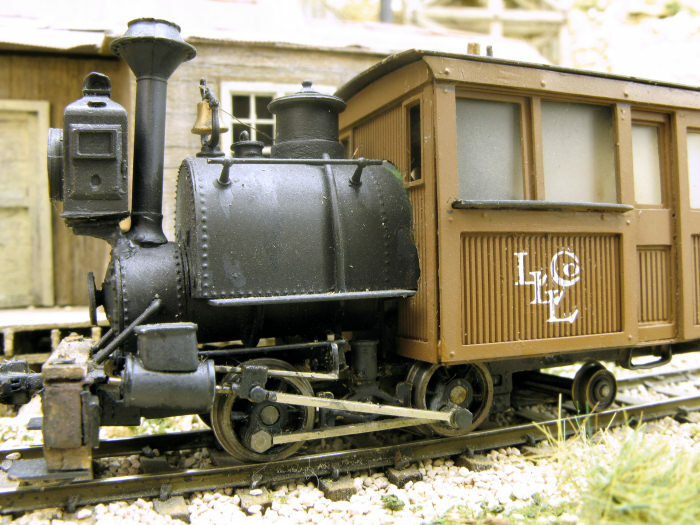 Alex is a great Sn3 modeler whose work has been featured in many magazines, in particular with a long article in the 2008 Mining, Logging & Industrial Book of Finescale RR. 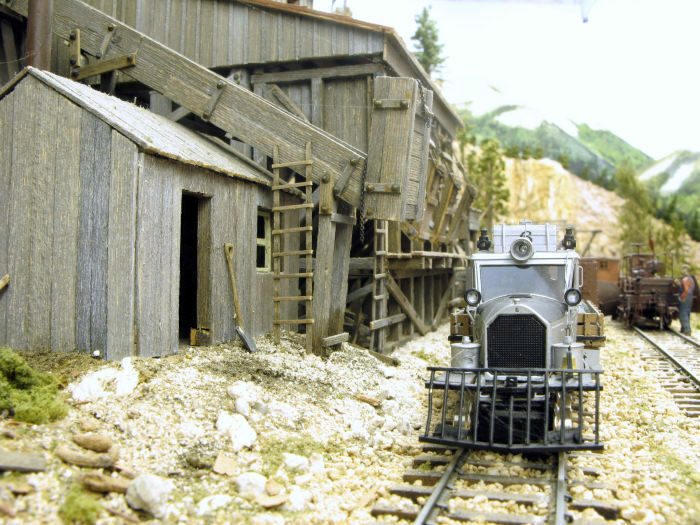 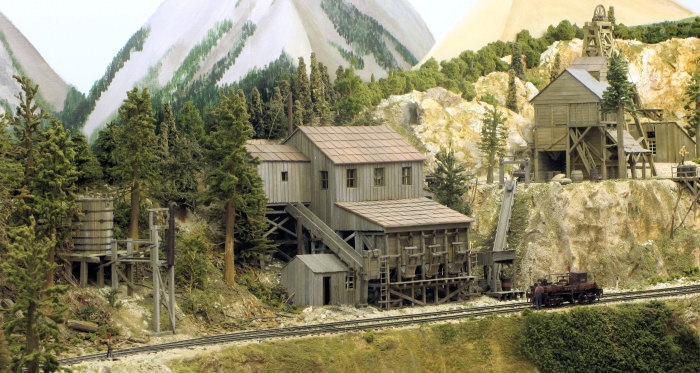 Here is a pic of Alex (right) and myself (left) just in front of the Alexandria Mining Complex on my Sn3 layout.